We take children from 3 months right up to 4 years when they prepare to take their first steps into primary school. Mossley Hill Childcare is located within the leafy suburbs of Sefton Park in Liverpool. The nursery is registered with Ofsted and is open from 8.00 am till 6.00 pm. Places are available on a full and part time basis. We also offer the 15 hour free childcare sessions for 2 and 3 year olds, and also 30 hours funding for eligible parents awarded by the Nursery Education Funding team within Liverpool City Council. If you are in receipt of income support or housing benefit and have links with a children's centre you may be eligible for 15 hours free education for your 2 year olds from September 2013 so please ask us about it. From April 2015 a new Early Years Pupil Premium which can be applied for to improve the education of 3 and 4 year olds that fit the eligibility criteria was introduced. This payment is awarded to the setting and is used to enrich your child'seducation. Ask at the setting if you would like more information on this. We operate an open door policy anytime except between 12.00 and 02.00 p.m. when prospective customers may view our setting. 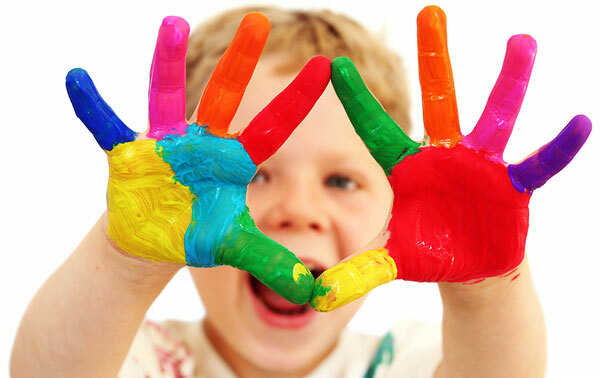 Our mission is to help children achieve their full potential through play and freedom of choice. CCTV monitoring operates and records 24 hours a day and is monitored regularly by the management team. The setting's policies and procedures are available for parents to read at any time and are situated in the foyer of the nursery. The setting is run day to day by Christine Barnes, who has a BA(Hons)QTS in primary education and Early Years Professional Status, and a team of 17 staff includint the cook and 16 fully qualified and experienced early years practitioners. We take the health, safety and welfare of all the children in our care very seriously. We will take every measure to ensure your child is safe and protected while in our care. We operate a strict security system with indoor and outdoor risk assessments every day. All staff undergo thorough vetting in accordance with the required DBS check. For your peace of mind we have installed video cameras, intercoms and magnetic locks to the entry points of the building. All staff have current safeguarding and paediatric first aid training certificates and have continuous opportunities for professional staff development. DBS online registration updated yearly by staff ensures continuous surveillance can take place by the manager to ensure suitability. We have the Daisy Room for under 24 months, the Buttercup Room for up to 3 years and the Sunflower Room for our pre school children. This allows us to create different stimulating age appropriate atmospheres for our children as they grow and get ever more inquisitive to learn more with the help of dedicated practitioners who form close bonds with their key children by regularly observing and planning next steps in their development. All rooms have open access to the outdoor environment which is a continuous entitlement for the children.